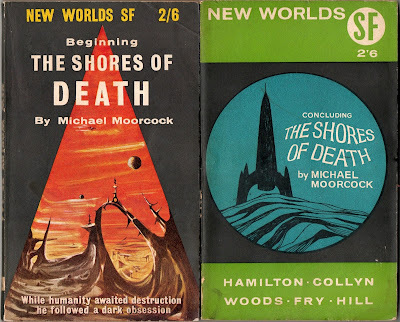 two-part serial in ‘New Worlds’ as “The Shores Of Death”. 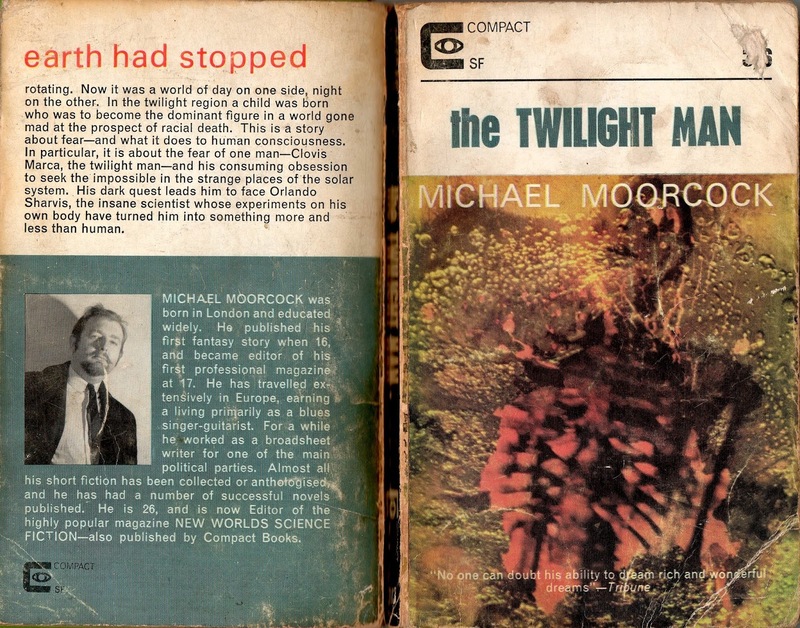 There’s no such thing as a ‘regular’ Michael Moorcock novel. 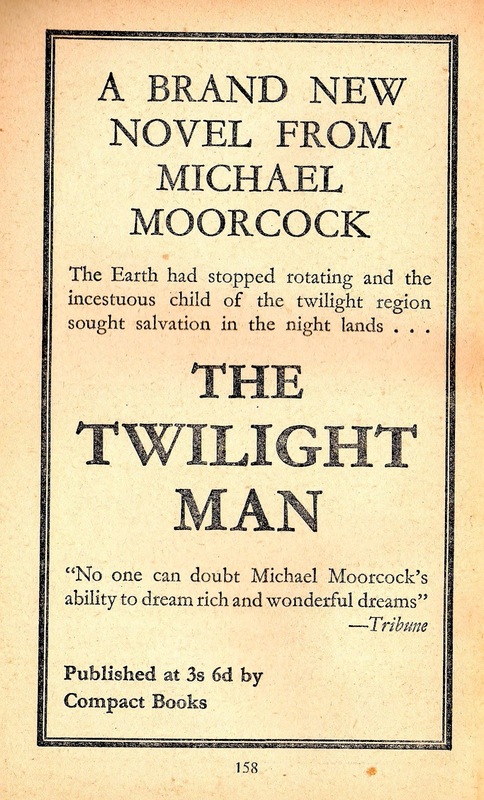 Even so, ‘The Twilight Man’ is untypical of what we think of as a Michael Moorcock novel. There are spaceships, strange alien species, and the Bleak Worlds of space. 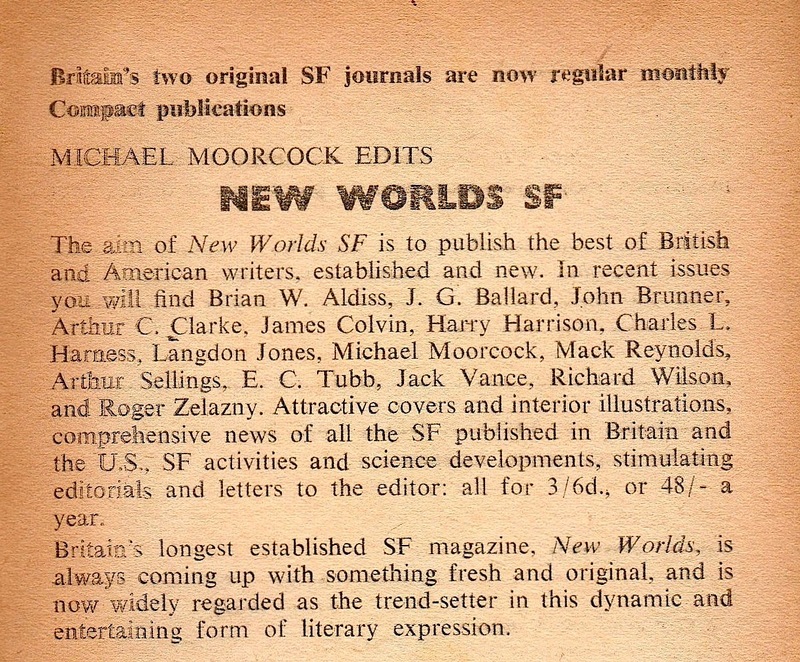 At the age of just twenty-six he famously became editor of ‘New Worlds’, despite other more obvious and predictable potential replacements for John Carnell’s chair, reliable and safe pairs of hands such as EC ‘Ted’ Tubb who had piloted ‘Authentic SF’ magazine, or Kenneth Bulmer who would assume Carnell’s mantle at ‘New Writings In SF’. So why was it Moorcock? 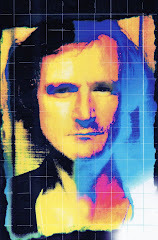 He was a wild card, known largely for a series of cult tales in ‘Science Fantasy’, and as the teenage protégée who’d edited the juvenile ‘Tarzan Adventures’ comic. 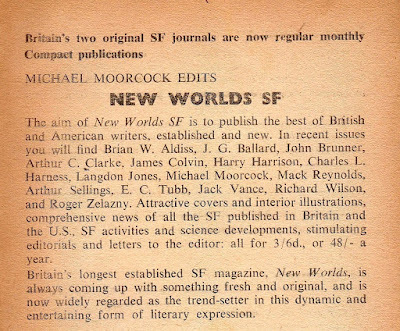 Under its new Roberts & Vinter publishing imprint the first ‘New Worlds’ issue to carry his editorial by-line was no.142 (May-June 1964), declaring itself ‘A New Literature For The Space Age’, with a JG Ballard essay proclaiming William S Burroughs as ‘Myth-Maker Of The Twentieth Century’, acting as a manifesto for the rebel regime. It was a time of change and uncertainty. And in ‘New Worlds’, once the story had been serialised, Moorcock explains that ‘many readers asked ‘where’s the last instalment?’ Because the downbeat ending hadn’t made the clear point it was meant to make.’ Soon after, Robert and Vinter decide to maximise its genre investment with the ‘Compact’ series of spin-off novels. As well as the Moorcock-edited ‘The Best Of New Worlds’ collection – including the aforementioned self-proclaimed ‘old hack’ Arthur Sellings, they published Moorcock’s Martian Trilogy under his ‘Edward P Bradbury’ alias, as well as ‘The Fireclown’ (aka ‘The Winds Of Limbo’) and ‘The Sundered Worlds’ (fixed-up from ‘Science Fiction Adventures’). 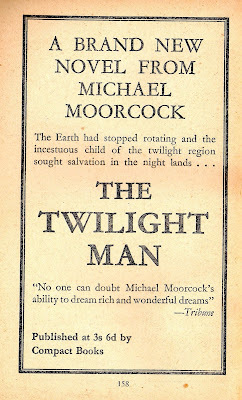 So it became a natural vehicle for the expanded “The Shores Of Death” rewrite, resolving the reader’s previously-unanswered expectations, and in doing so, forming Moorcock’s third own-name novel, re-titled ‘The Twilight Man’. It’s an interesting exercise to compare and contrast the development of the story’s two earlier incarnations. 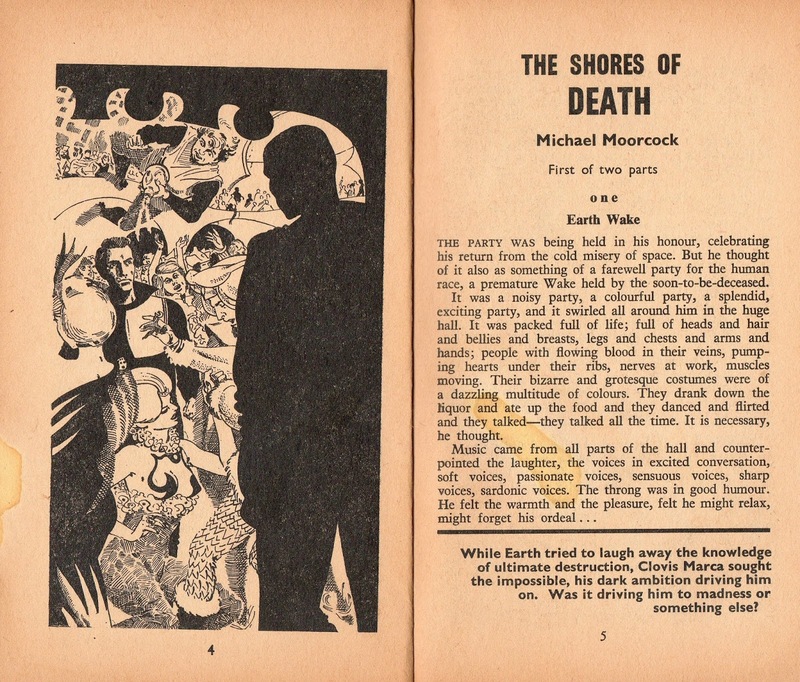 According to Moorcock’s ‘Introduction’ (dated April 1966) ‘I have rewritten the novel entirely, with only a fraction of the original plot and material.’ Yet some sequences are virtually lifted intact – such as the lavish ‘Earth Wake’ which opens the first part of the serial and then follows the novel’s tacked-on ‘Prologue’, a party of masks, costumes, levitating gravstraps and air-carriages – ‘its golden body had been moulded to the shape of a fantastic bird with spreading wings’, controlled by sonar-key (or ultrasonics in the novel). Yet there are also the most fundamental plot-shifts, even reformulating the nature of catastrophe facing the doomed planet. The ‘Story so far’ update for new readers in no.145 neatly condenses the imminent threat down to ‘our galaxy is about to be destroyed. Another galaxy is colliding with ours and is approaching the speed of light. When the speed of light is exceeded, it will convert to energy and we shall be engulfed by the same process. The human race prepares for death.’ Despite the cover strap-line boast announcing ‘Intelligent SF For To-Day’s Reader’ this galaxy-smashing inferno is almost an EE ‘Doc’ Smith scenario. 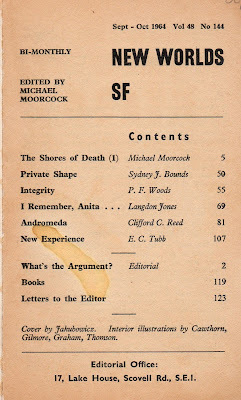 As Moorcock concedes, some readers ‘hinted – or stated bluntly, that the science wasn’t all it could be… they were right. I wasn’t convinced by the science either.’ So, instead of a rogue galaxy, for the novelisation there’s a race of space-dwelling creatures ‘seeking the edge of the universe’, who had ‘paused with casual ease to stop the world spinning’, a mischievous prank that creates a climatically divided Earth. Stilled on its axis, one hemisphere eternally facing the sun in everlasting day, leaving the other side facing away from the sun, perpetually frozen and inhospitable. Probably this science is equally unconvincing. However, although a degree of longevity is common – with life-spans extended up to three centuries, the race has also become barren, perhaps due to an overdose of omega radiation, and so will soon become extinct. A choice of catastrophe, in which this is again the world’s final generation, with the human race again preparing for death with costumed parties prescient of the ‘Dancers At The End Of Time’ stories to come. The other central concept is the psychological impossibility of humans to travel in space, due to the nausea of the ‘Space Ache’. 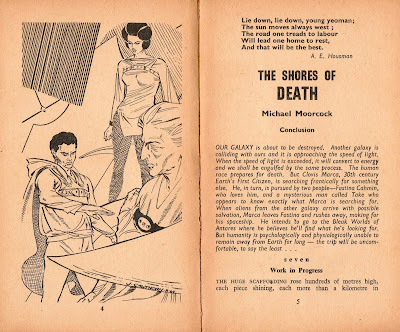 Drugs and extreme conditioning allow limited trips, and people born beyond Earth have a greater resistance, but there’s an effective passage in the first magazine episode where the last of the attempts to achieve intergalactic travel returns with the crew dead in various hideous ways from desperate violent madness brought on by the existential terrors caused by separation from the Mother world. Despite this there are tenacious colonies on Mars and Ganymede, with persistent tales of survivors of an expedition to Titan. ‘Yesterday’s conventions have no place in today’s magazine’ Moorcock editorialises, yet this idea itself has precedents. 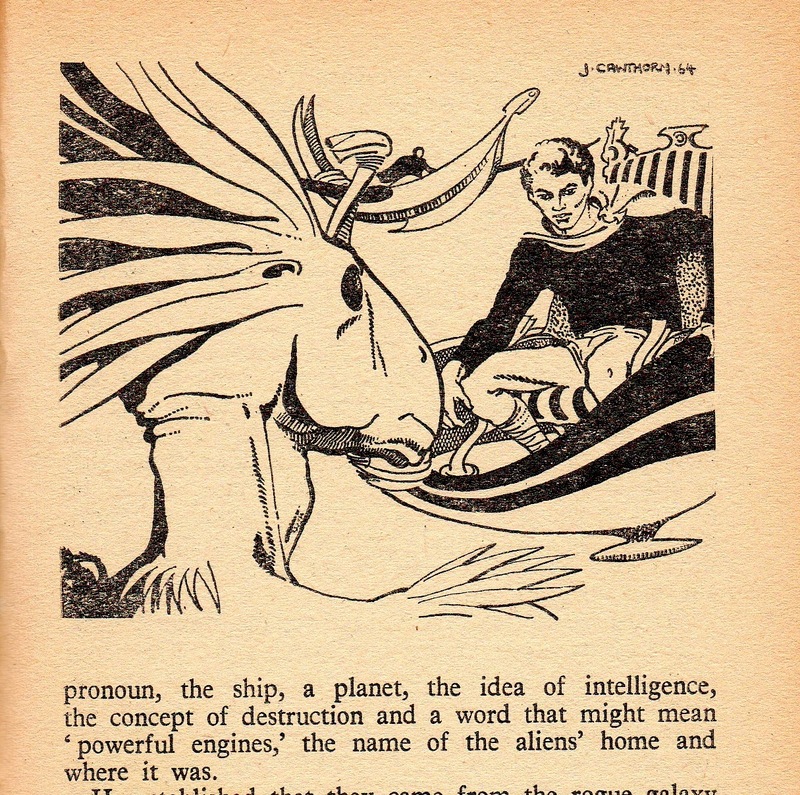 There’s a gently poetic short fiction in ‘The British Science Fiction Magazine (Vargo Statten)’ (January 1955) – the only documented work by Paul T Evers, in which expeditions to other solar system worlds are doomed to failure by the mind-scrambling “Music Of The Spheres”. But more particularly by Cordwainer Smith’s short story “Scanners Live In Vain” (‘Fantasy Book’ no.6, January 1950) where space travel is constrained by the ‘First Effect’. 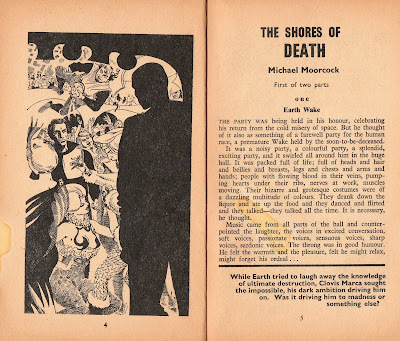 Here, the ‘Great Pain of Space’ induces a death-wish in all but the surgically-altered Scanners, ‘the enduring agony of space… the pain of space beating against every part of my body.’ When asked directly Moorcock admits that ‘Smith could have influenced me’. Clovis Marca, the protagonist, is more of a regular Moorcock trope, in that he’s a charismatic loner, driven by an initially unspecified obsession. He’s pursued by lover Fastina Cahmin – at twenty-eight, the youngest person on Earth, and by a mysterious entity-in-black known as Mr Take, with a ‘rudimentary and primordial soul’. ‘Marca was the golden man’ who had abdicated his elected First Citizen council leadership when he deemed the very concept of government itself obsolete in this civilised saintly world, where debate is conducted in the Great Glade of the Flower Forest. 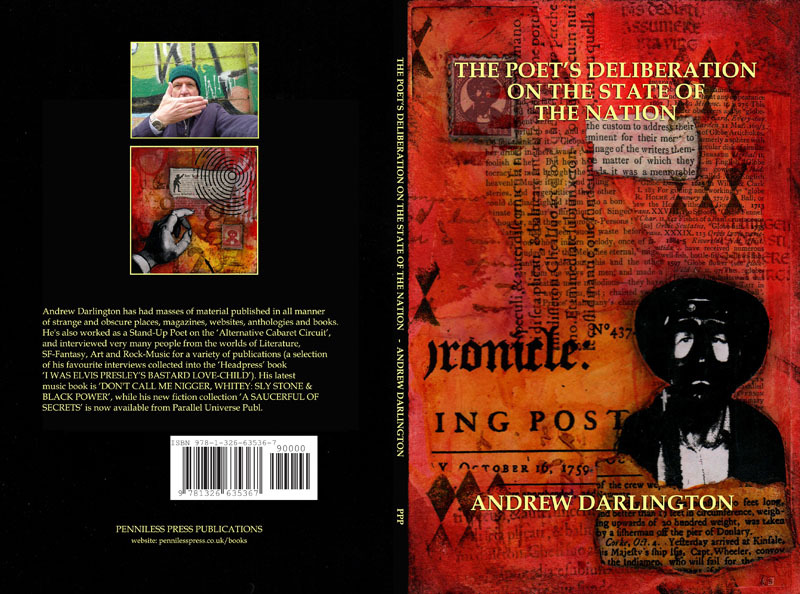 The prologue added to the novel fills in detail, about how he’d been born from an incestuous union in a baroque ‘grotesque tower in the twilight region’ between hemispheres. Narvo Velusi schemes a giant transmitter broadcasting ‘WE ARE HERE’ through the immensity of time and space as a final memorial to humankind, while an alien Shreelian ship from the extinction galaxy arrives, offering salvation by converting the energies of Pluto and Mercury into a preserving force-field. All of which provides little more than an irritating distraction for Clovis, who’s more intent on defying the Space-Ache by travelling to Klobax, a planet of the Antares Dark Worlds, to seek lost scientist Olono Sharvis, in a quest to achieve immortality. 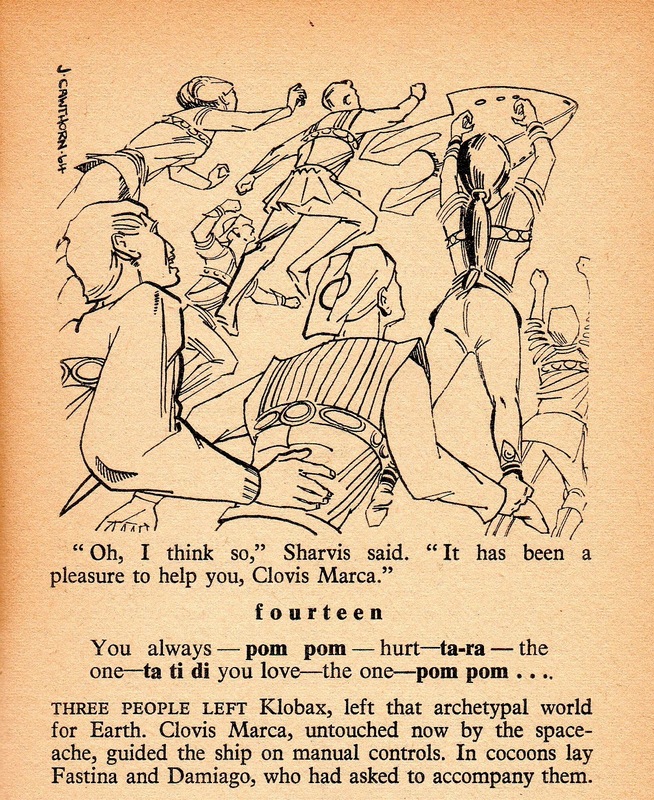 Klobax is a world of lurid colours, peopled only by ‘the unbalanced and the misfits’. If the Dark Worlds are a metaphor, they become even more so in the form of the novel’s dark hemisphere of the world. It is the submerged parts of the mind where the fatalistic Jungian Thanatos instinct lurks, the morbid death-wish to the soft nullity of extinction. 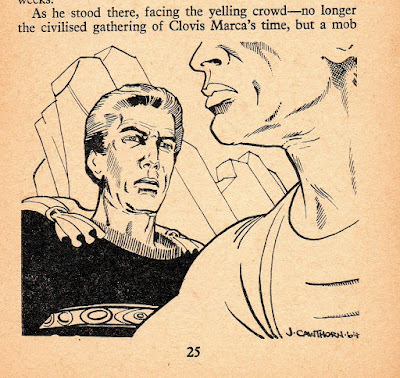 ‘The darkness mirrors the darkness in their minds’ as Clovis Marca observes. There are no Dark Worlds in the novel, and no Shreelians, unless they are transfigured into the ‘birdlike mammalian bipeds’ who had stilled the world. But Brand Calax is murdered when his Titan expedition is sabotaged on take-off. Narvo Velusi’s transmitter is destroyed. Clovis and Fastina attempt to distance themselves from the growing crisis when the nihilist Brotherhood of Guilt cult is opposed by Andros Almer’s equally fanatical vigilantes, who stage a virtual totalitarian coup. With Mr Take, Clovis and Fastina retreat to his isolated tower in the twilight realm – with a touch of humour, they are pursued by ‘Security Scout 008’! From this stronghold Clovis tracks Take deep into the desolation of the Earth’s night region. The Dark Side Of The Earth. To where a cavern within the fallen moon is refuge for Olono Sharvis’s continuing research. 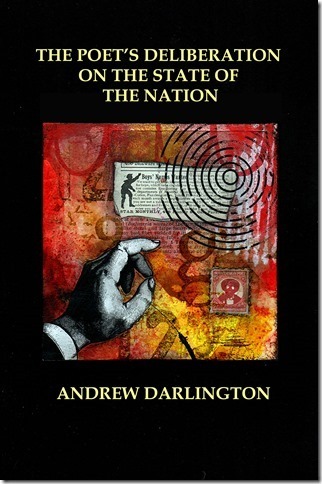 Here, the narrative strands again come together, in extravagantly strange adventure. Retorsh is an artist of death who spends his time ‘working out the funniest ways of killing myself’. He’s committed suicide three times, only to be revived. Sharvis himself is a concoction of Mad Scientist… and Josef Mengele, the Angel Of Death familiar to anyone growing up in the immediate post-war years as responsible for Auschwitz experiments on human subjects. Sharvis had done – under the Krau-Sect regime, what Mengele had done for Nazism. 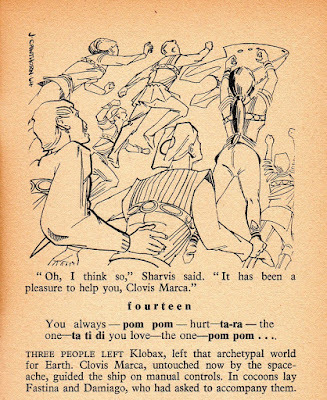 The artist Alodios is gifted immortality by Sharvis, but in a cruel jest, he’s robbed of intelligence to rationalise it. In a consciously Faustian transaction Sharvis inflicts a similar immortality on Clovis (fusing him with Take’s body), ‘passionless, yet remembering passion, corrupt, yet with a memory of innocence’. In the ‘New Worlds’ serial, with Earth collapsing into feuding factions that frustrates even Shreelian generosity, Clovis is no longer capable of resolving the racial impasse. When readers asked ‘where’s the last instalment?’, there is no resolution, other than extinction. Future editions revert to ‘The Shores Of Death’ title for a 1970 Sphere edition, and again in 1974 through Mayflower. 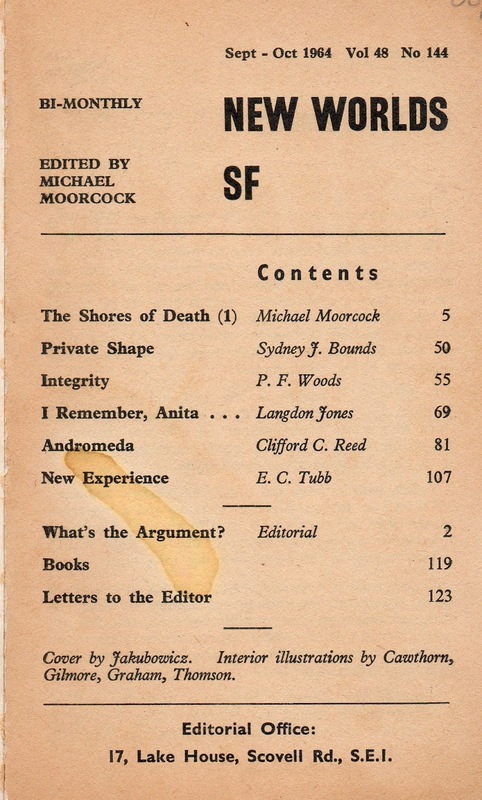 And it stands as a unique part of Moorcock’s stylistic evolution into one of the most distinctive writers of his generation, on the way to defining his own genre. The texts were further revised for inclusion in the 2014 ‘Moorcock’s Multiverse’ anthology in the Gollancz ‘Michael Moorcock Collection’ omnibus series – alongside his two debut novels ‘The Sundered Worlds’ and ‘The Winds Of Limbo’ (aka ‘The Fireclown’). 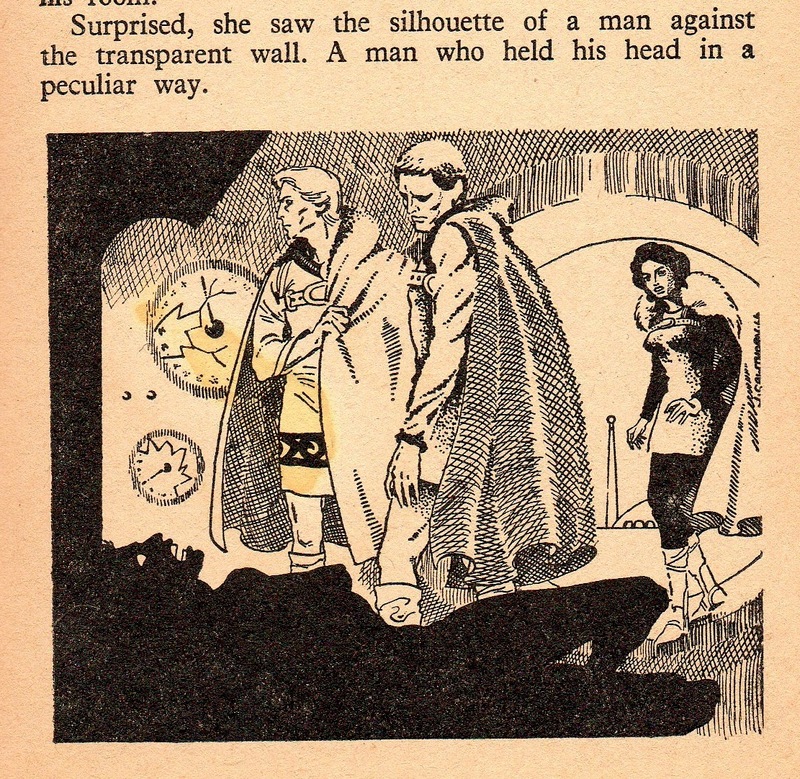 But these early editions remain, not only highly collectable, but highly readable. There was a Spencer Davis in the Spencer Davis Group, a Manfred Mann in Manfred Mann, and even a Dave Dee in Dave Dee, Dozy, Beaky, Mick & Tich. But the first thing to realise about Simon Dupree & the Big Sound is that there was no Simon Dupree. 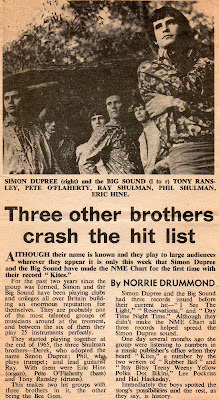 The second is that the Big Sound were never even particularly Big. 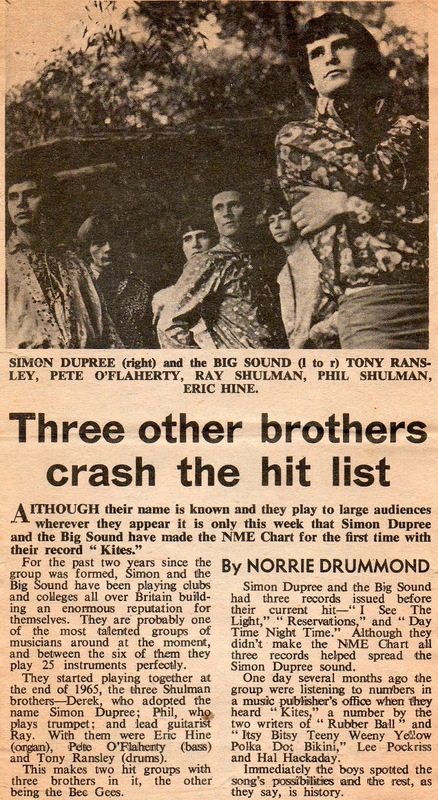 In fact – like the Bee Gees, they were essentially three brothers, Derek, Phil and Ray Shulman. 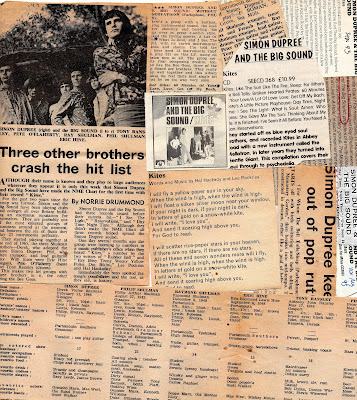 Which is a lot of brothers, but not as many brothers as there were in the Jackson Five or the Osmonds, so that’s not exactly one for the Guiness Book of Records either. And worse, over the precipice of the Sixties into the ‘Progressive Seventies’ the Big Sound de-evolved into the unforgivably self-indulgent ‘Old Grey Whistle Test’ stalwarts Gentle Giant. So why the hell should this shiny new CD package be worth your carefully hoarded pennies? Well – there’s few art pretentions here. 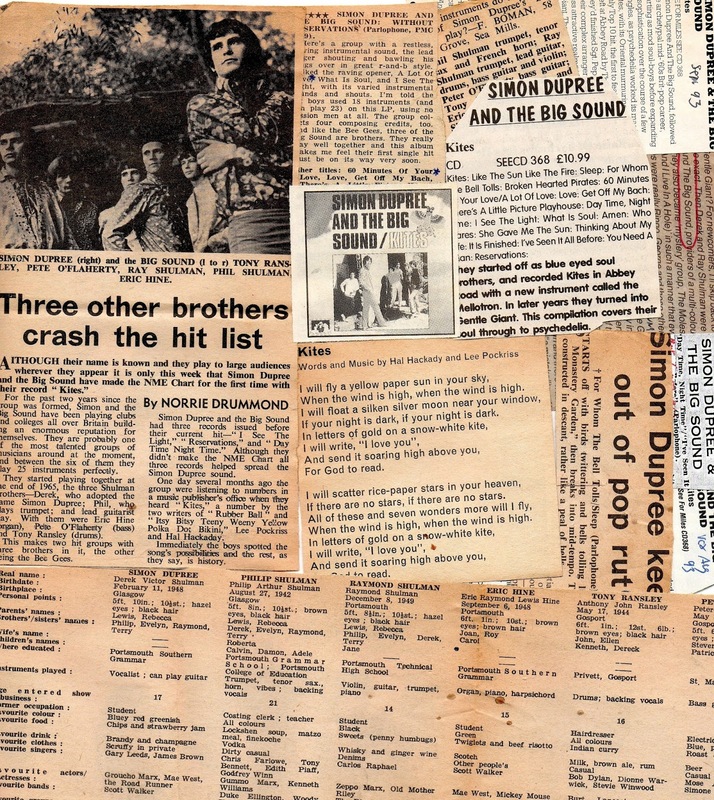 This is essentially the Big Sound’s one and only album ‘Without Reservations’ (August 1967) inflated from its original twelve tracks to twenty by the addition of their one-and-a-half chart singles – “Kites” (no.9 in November 1967) and “For Whom The Bell Tolls” (no.43 the following April), plus ‘B’-sides and early Blue-Eyed Scooter-Soul singles like their non-hit “I See The Light”. It’s all here. The complete blueprint Pop career from the Mod R&B covers – Homer Banks’ “Sixty Minutes Of Your Love” and Ben E King’s “What Is Soul” done like a Zoot Money or a Chris Farlowe might have done them, the perfect sweaty Club jive for every self-appointed In-Crowd at every mid-sixties Art School Dance, changing style and wardrobe into the mild psychedelia that then gave them their brief burst of ‘Top Of The Pops’ success. 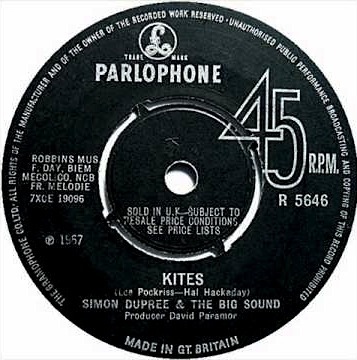 And “Kites” is quite gently magnificent. 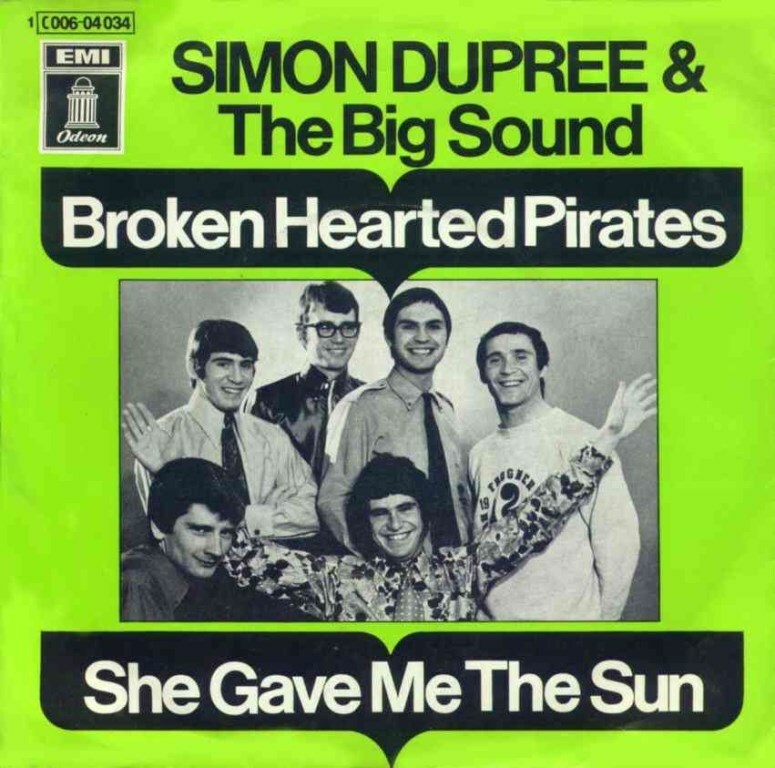 Written by Lee Pockriss and Hal Hackady – the team responsible for Teen-trash like “Itsy Bitsy Teeny Weeny Yellow Polka Dot Bikini” and Bobby Vee’s “Rubber Ball”, it’s a track that floats a charming calligraphy of images on spiralling thermals of Chinese breeze – ‘I will float a silken silver moon near your window, /…I will scatter rice-paper stars in your heaven, / …all of these and seven wonders more will I fly, / when the wind is high’. With bit-part actress Jacqui Chan (she can be glimpsed in ‘Krakatoa: East Of Java’ in 1969, plus episodes of ‘Dixon Of Dock Green’ and ‘The Saint’) breathing oriental eroticism all over the instrumental break in a poetic Chinese voice-over that still packs more sensual charm than Sharon Stone’s entire movie-ography. “For Whom The Bell Tolls” follows (lifting its title from the John Donne poem “Meditations XVI”), drifting in on sound-bites of twittering birds and doomy Church-bells, before fandangoing into a perfect Pop of acoustic flamenco bursts and trumpet fanfares. 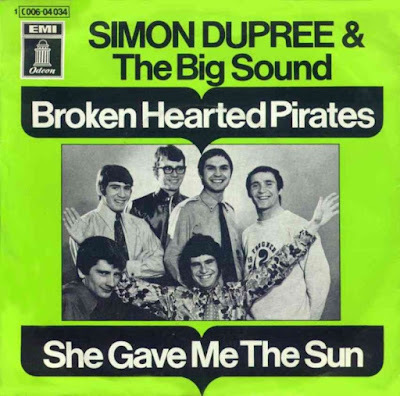 Trivia buffs know already that beyond the confines of this album the group also recorded the highly collectible “We Are The Moles” (1968) under the Beatleseque guise of the Moles, and that after the demise of Gentle Giant Derek Shulman became the US-based A&R executive who first signed Bon Jovi, while Ray Shulman went on to do production knob-twiddling for the likes of Sugarcubes and A.R. Kane. 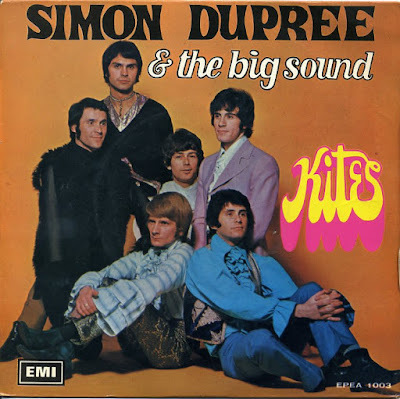 But in their time Simon Dupree could occasionally be a class act, and the Big Sound – just once or twice, were able to live up to the boastful promise of their name. The conundrum involved with getting signed to John Peel’s own label was that – due to the BBC’s conflict of interest policy, Peel couldn’t actually play the records on-air on his show. So Bridget gigged on his road shows, and did a live 1969 ‘Top Gear’ session, its four tracks preserved on CD4 of this valuable box-set. 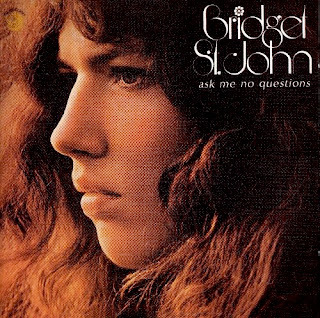 Bridget resembles Françoise Hardy by way of Donovan, Nico via Nick Drake, a softly-bruised simplicity that trips barefoot on hot pavements, tastes buttercup sandwiches and hitchhikes with a boy with lizard-long tongue. All set with notes of crystal purity in a spangled bohemia where the alchemy of curlews, mistle-thrush and church-chimes ornate the melancholy 7:49-minute title song of ‘Ask Me No Questions’ (1969), underscored by John Martyn’s guitar and Dominic’s pitter-patter bongos. Then ‘Songs For The Gentle Man’ (1971) produced by Ron Geesin, is breathy pastoral chamber baroque-Folk with airy woodwind and Donovan’s exquisite “Pebble And The Man”. And ‘Thank You For…’ (1972) produced by Peel, choosing highlights is hard, but “Lazarus” is one. 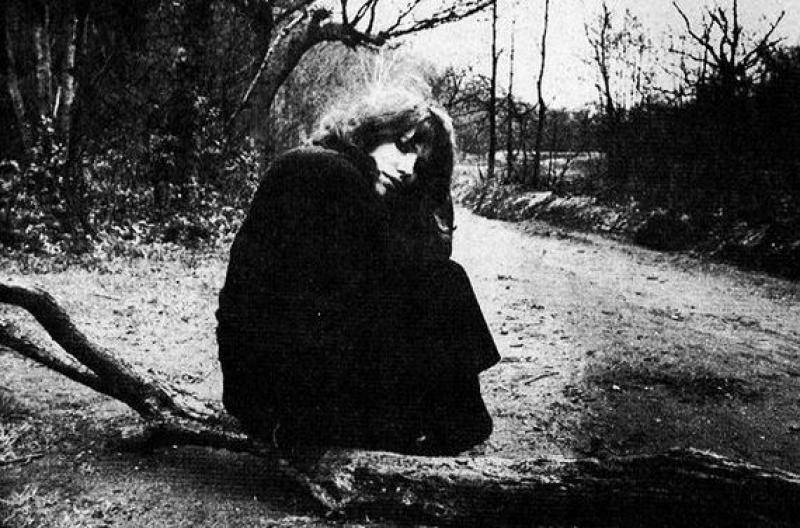 Three studio albums that pretty-much contain this vital phase of her career, bulked out with bonus live material and previously unreleased tracks, predominantly her own songs with a few Cohen, Dylan, Joni and Kevin Ayers thrown in. There were subsequent albums, a Greenwich Village sojourn and contributions to Mike Oldfield’s ‘Ommadawn’ epic, but everything you really need to know about Bridget St John is here, in this beautiful box.